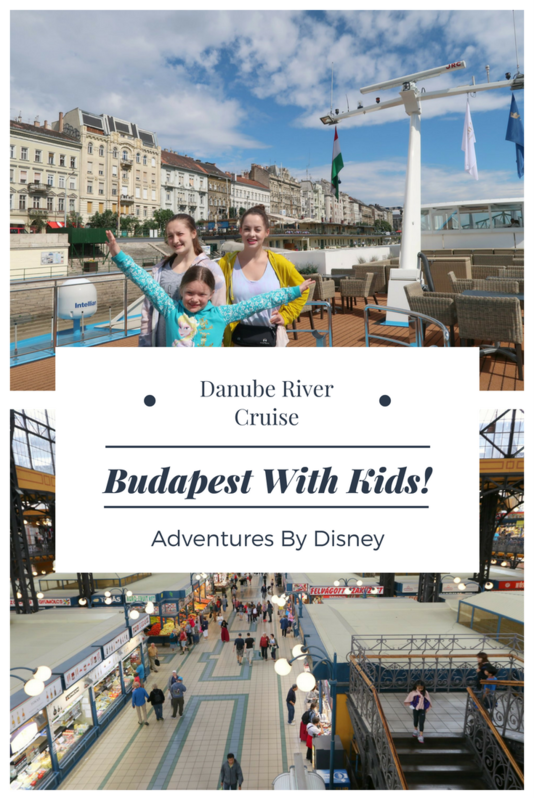 Adventures By Disney Danube River Cruise Day 1- Budapest With Kids – It's a Lovely Life! 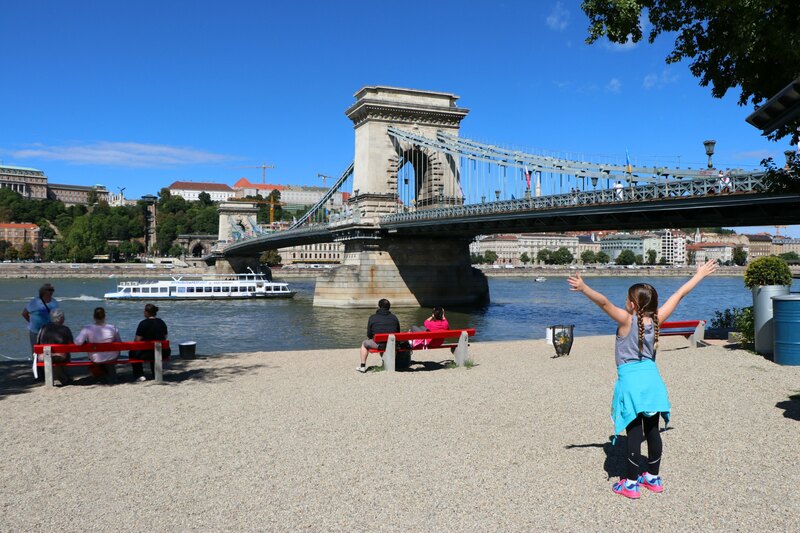 While Pete has been sharing our daily vlogs from our time on the Adventures By Disney, Danube River Cruise (special thanks to Disney for hosting us), I've been slowly processing this amazing family vacation and writing about our time on this amazing vacation. I'm not going to side step the fact that many of the places we visited were never on our travel wish list, let alone on my radar as places I'd want to take my family. But after we experienced each of the destinations on the cruise, I can't believe that we weren't considering them before. Now they are all places we can't wait to go back to! So how did this epic vacation even happen? Well, we were doing the most glamorous thing possible when the invitation was sent to us- grocery shopping. Seriously, between “do we need more bottled water” and “did you buy soy milk” my phone chimed inviting us to experience Eastern Europe on an Adventures By Disney, Eastern Europe, Danube River Cruise. Looking back, this was exactly what the whole adventure held for us. Unexpected amazement! From finding out about going to Europe to what our experience turned out to be. It was all a surprise and better than we could have ever imagined. Our journey to Europe started on a Sunday night. Since we were flying out of LAX first thing on a Monday morning, we decided at the last minute to stay the night at an airport hotel the night before. 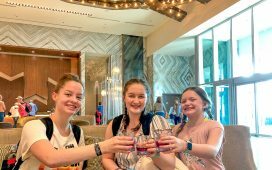 We normally drive up from San Diego with no issues, but we would be traveling for the equivalent of 24 hours taking the longest flights the girls have ever been on, so this felt like the best option for us. It turned out to be a very good idea because Pete didn't sleep on any of the flights so sleeping longer at the hotel before our flight was the only thing keeping him going until we were settled in our hotel more than a day and a half later. I normally gloss over the realities of travel that are less than ideal, but I think it is important to show that things can and do happen even with the best planning. We have learned to roll with whatever is thrown at us, and we always manage to have an awesome time even if things don't go exactly as planned. Since we flew from LAX to Toronto and then to Budapest we had to change planes and had a short layover. During that time we discovered Emmy left her iPad on the first plane. It had all of her pictures from all of our trips on it. She was beyond bummed! She is very sentimental and she wasn't upset about losing her iPad, she was upset about losing all of her memories. 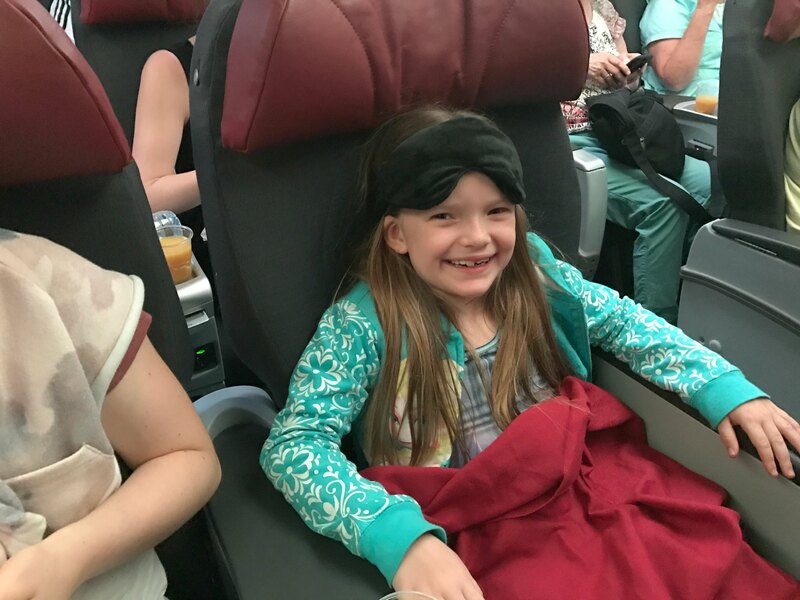 Although we still don't have the iPad back we were able to upgrade to the highest option available on the next flight which gave us all more room to make the long flight more comfortable and the experience distracted her from thinking about her lost pictures. Instead, she was able to focus on making more memories. We turned a negative into a positive and the girls look back on that flight as one of our favorites. After almost 9 hours in the air, something wonderful happened. 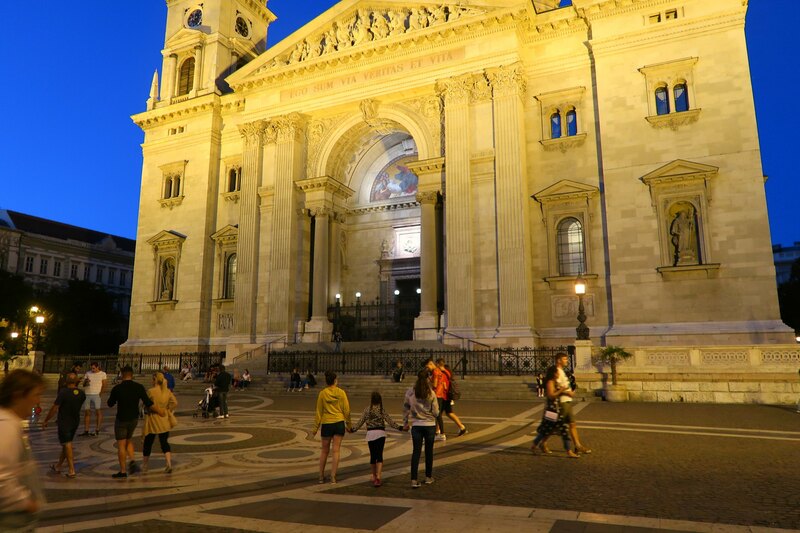 We landed and had our first experiences in Budapest. We hired a private driver to pick us up at the airport. It was a very good move since we were all tired, excited and so ready to see this new land. We walked right through the airport (customs and immigration were a breeze) and there was a gentleman with a sign waiting for us. He walked us the rest of the way to our waiting car. Once loaded in the car we were at our hotel 20 minutes later. 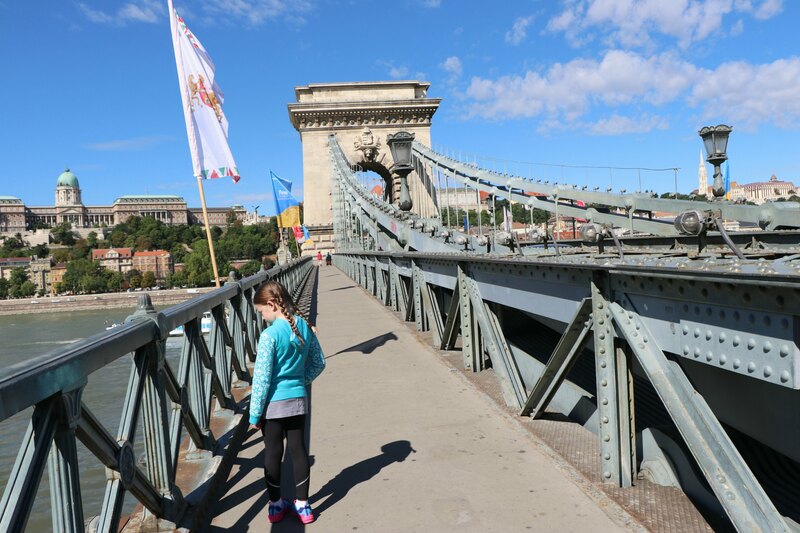 We were staying right by the Chain Bridge, to be close to where we would be boarding the ship the next day and it was the perfect place for us. Our driver told us by pointing his hands, “this way to good, more money restaurants”, and then ” this way to good, not as much money restaurants”. “Both very good” he assured us. This type of information is why I LOVE talking to locals. During our stay in the area, we ended up going both directions and he was right. The food was amazing each way. The first day in Budapest we went to the ATM, had ice cream, lunch, dinner and just explored. We started our visit with nothing planned other than to get as much rest as possible. We wanted to be as energized as possible for the river cruise that was starting the next day. Although we brought cash with us, we quickly learned that the best option for money was to get cash from an ATM instead of exchanging our US Dollars. If you are doing the same, make sure to always use an ATM that is attached to a bank. Those are the most secure and normally offer the best rates. A note about ice cream. It was EVERYWHERE we went and there were so many options. Maddie and I had vegan/dairy free ice cream multiple times on our vacation. 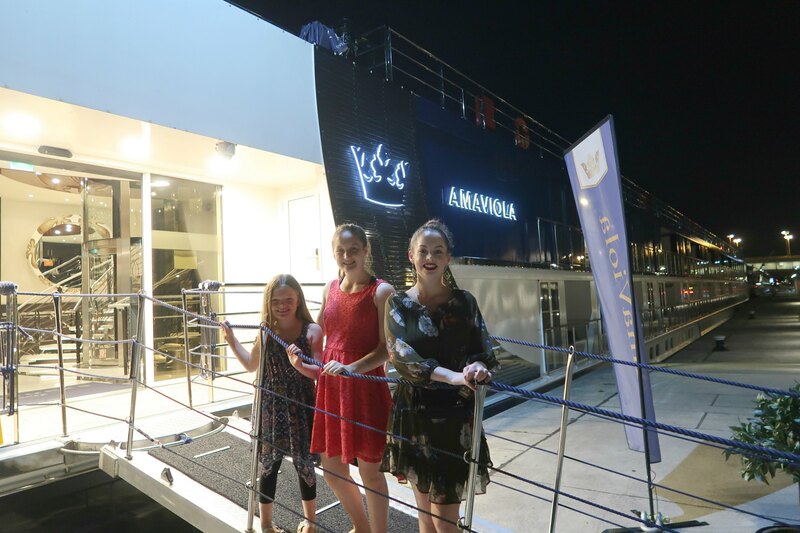 The next day it was time to board the AmaViola cruise ship with Ama Waterways. It far exceeded our expectations, which were already extremely high. The ship was beautiful and the rooms were spacious for a river cruise ship. The girls had a separate room and Pete and I had the room next door. They do have a couple connecting rooms too on the lower level. The first night onboard was pretty magical. We got settled in, met our fellow cruisers and started to realize what a great way to see Europe this was going to be. I kept thinking back to how I thought there were no family friendly river cruises and how happy I was to be wrong. 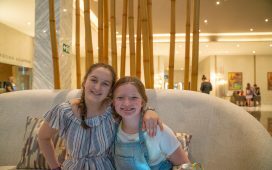 One of the challenges when traveling with children is having to manage not just you and your family, but all of their things too. 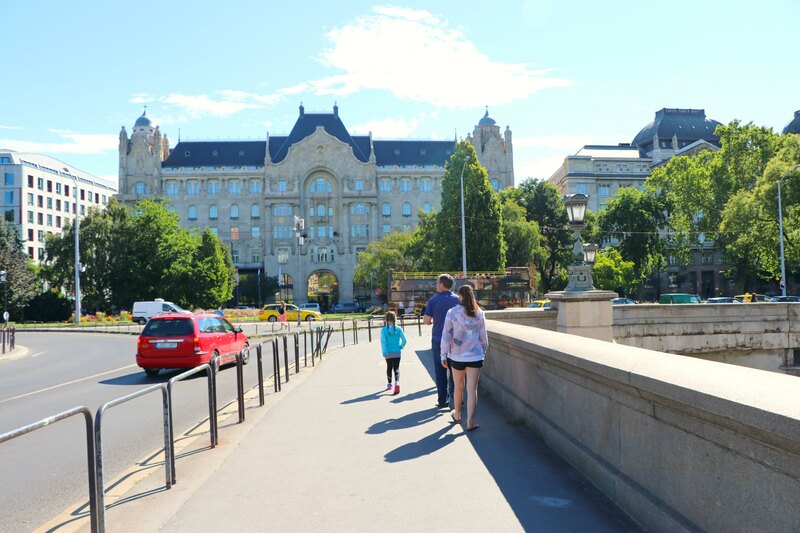 With the river cruise, we were seeing some amazing locations and there was no packing and unpacking necessary. You settle into your cabin and your hotel goes with you everywhere. Plus you can have the same waiter at dinner no matter what country you are in if you like, which makes managing special diets so much easier. Back to that night. 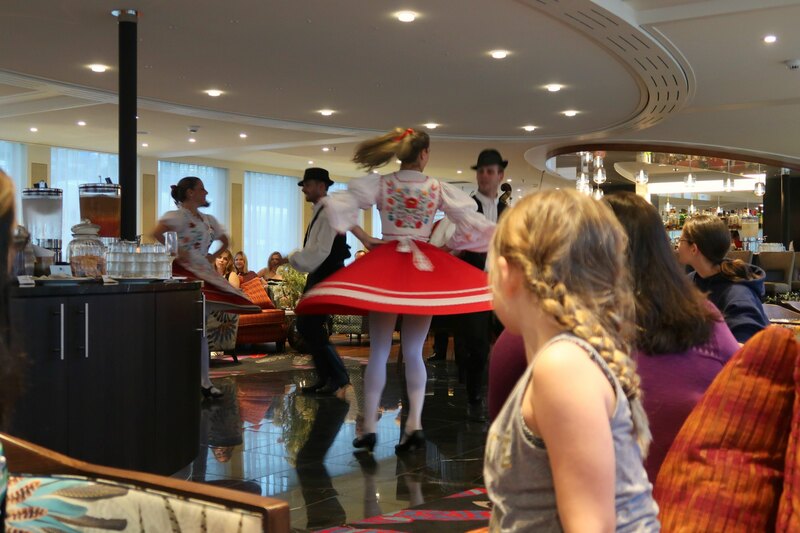 We embarked in Budapest, enjoyed a Hungarian Folklore Show with authentic dancing and singing and then had a great dinner onboard the ship! After dinner, the ship sailed on an illumination cruise where we saw the whole town was sparkling. I kept hearing that Budapest was “Paris East” and the “city of lights”. I totally see why now. This evening cruise needs to be on everyone's bucket list. It was that memorable. There is just something about sailing along past the parliament building and seeing chain bridge with so many lights surrounding them. It was breathtakingly beautiful! I thought we would all go straight to bed after that because sailing down the river was actually quite relaxing too, but we all got a second wind. 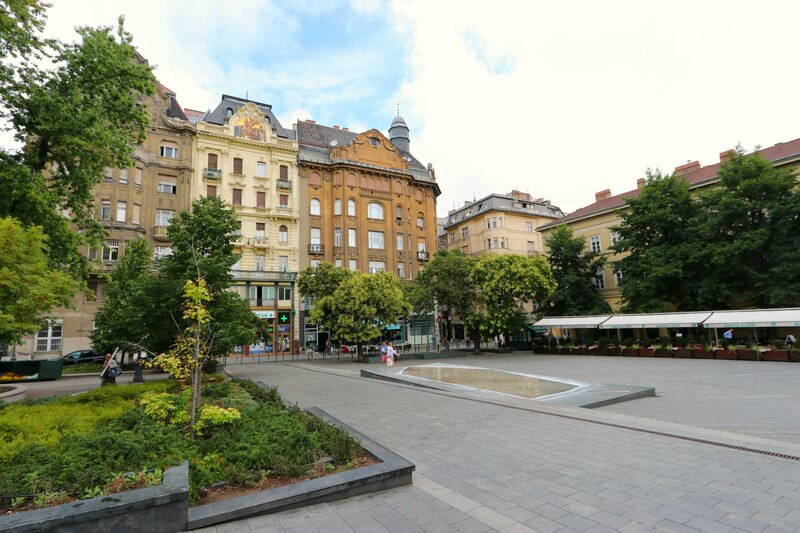 We didn't want to waste a second of our time in Budapest, so we went back into town. 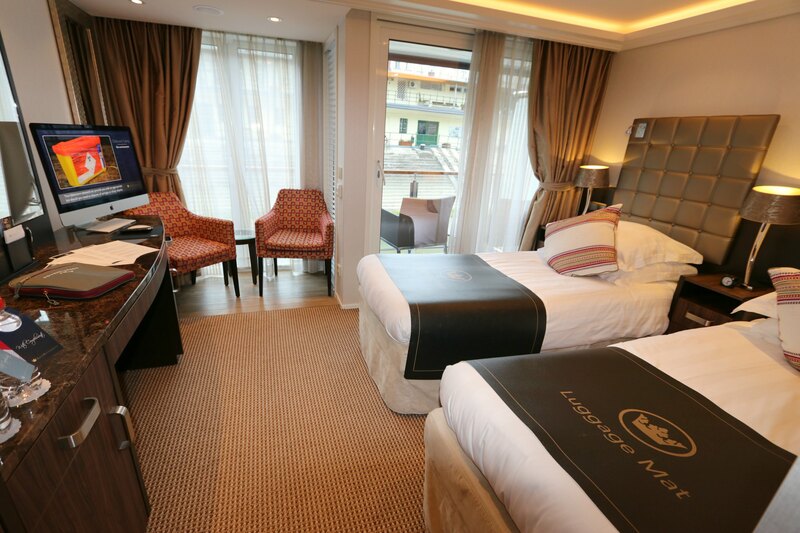 This is another really awesome part of river cruising. 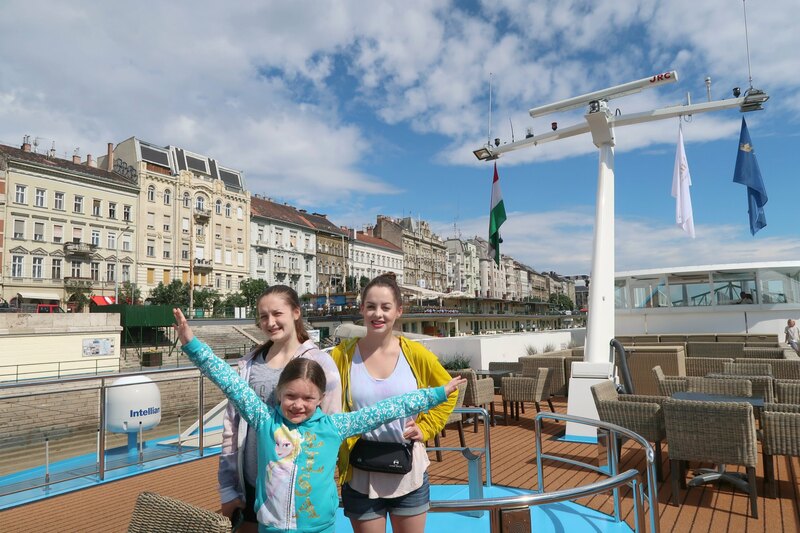 Since the cruising normally happens later in the evening, you can go back into the towns you are in to get more out of your vacation like we did in Budapest. We asked our Adventure Guides for some suggestions on things to do and had another great night out and about the town. We were actually overnighting in Budapest so there was no rush getting back to the ship. Bright and early the next morning we were ready for more! 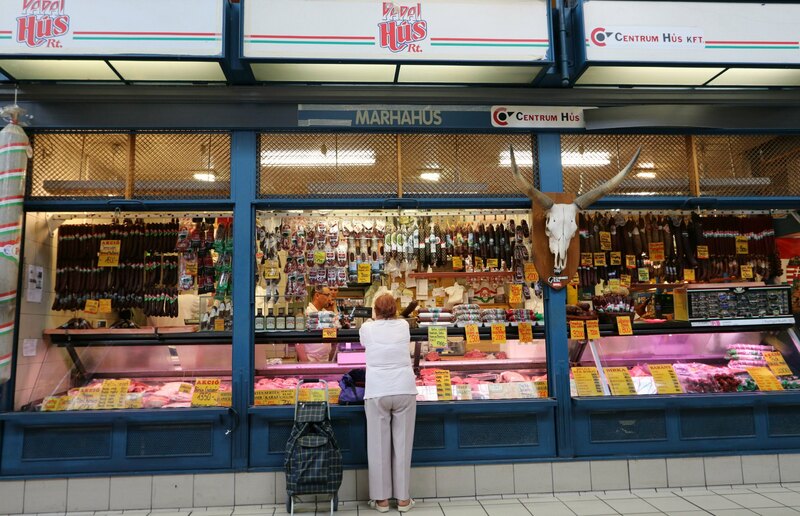 We started with lunch on the ship and then took a walking tour of Central Market Hall. Our tours were led by both our awesome Adventures By Disney guides and top local guides. This made for some pretty perfect tours. We also had some time to explore on our own, which we spent shopping, of course. 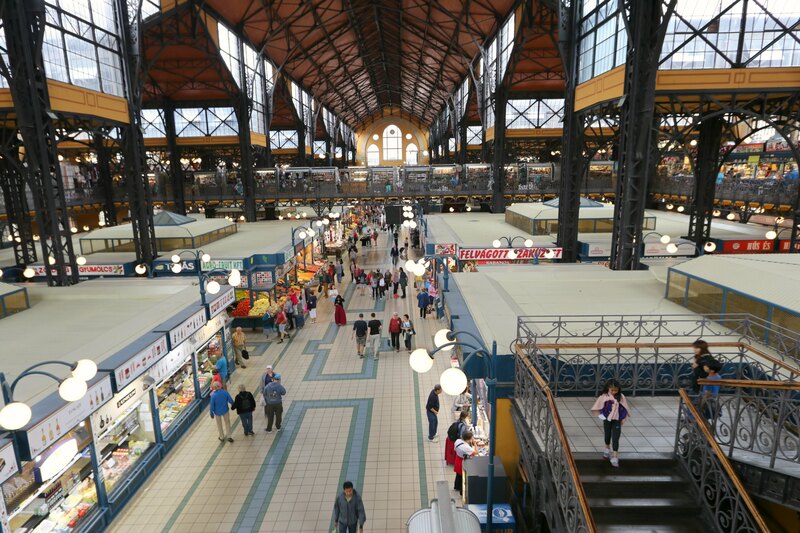 The Central Market Hall is a very well known tourist and local spot in Budapest. 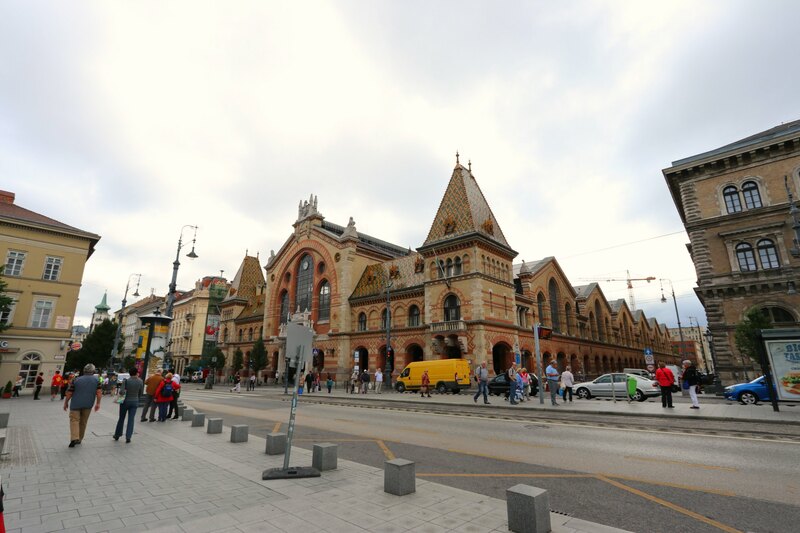 It is a restored neo-Gothic building that is the largest indoor market in the area. 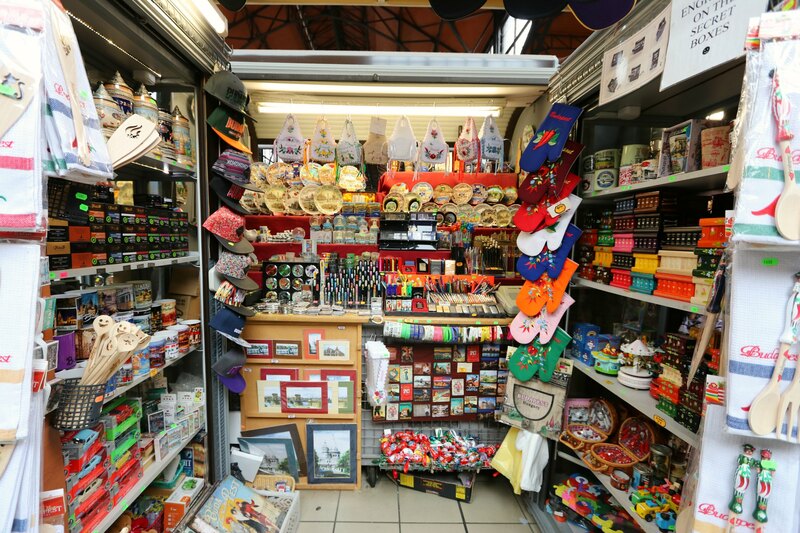 We saw locals shopping for meats and products, people enjoying the local cuisine in the prepared food area up top, and everyone shopping for staples and souvenirs. Emmy bought a puzzle box to take home that a local recommended we purchase as they are known for them here. 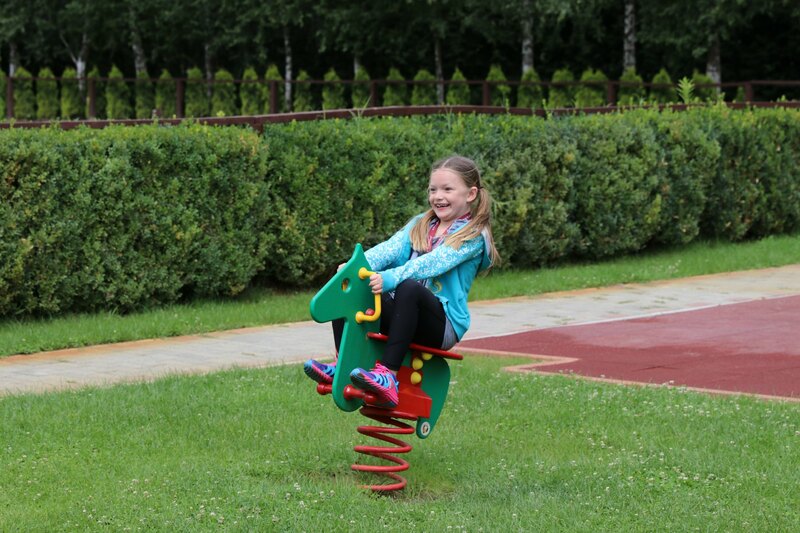 After shopping, snacking and exploring the huge halls of the market, we loaded onto the really nice coaches for the drive to Lazar Equestrian Park. This was one of the excursions that never would have been on our radar had we done this trip on our own. 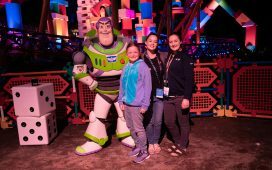 We really enjoyed our time here and I'm so thankful that we had Disney organizing everything! 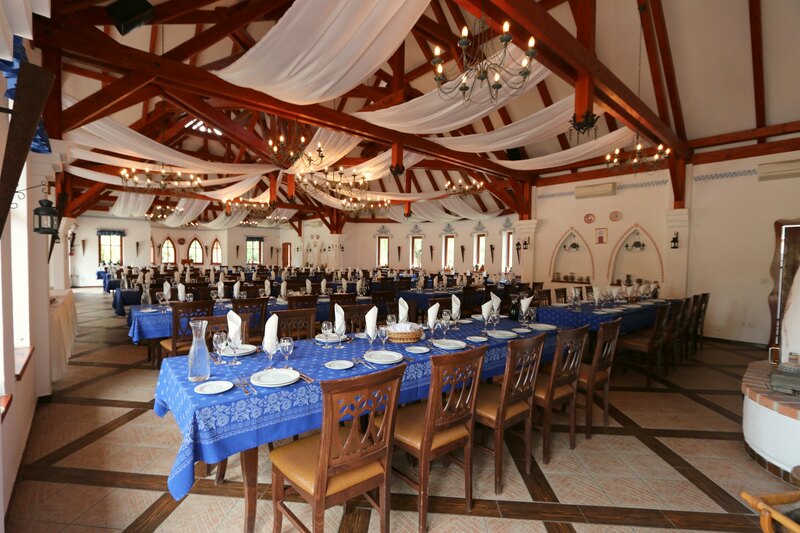 Lazar Equestrian Park is an entertainment venue owned by the famous Lazar Brothers. 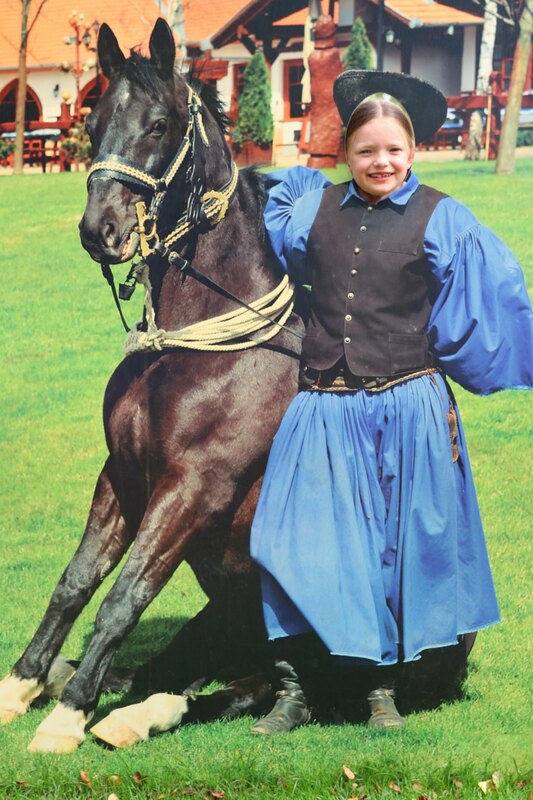 Activities included carriage rides, a pretty amazing Hungarian Cowboy show, a petting zoo, goulash making, a playground and a huge family style lunch! We left stuffed, tired and full of new memories in our hearts! We boarded the ship in Budapest late in the afternoon and she left shortly after for Bratislava. 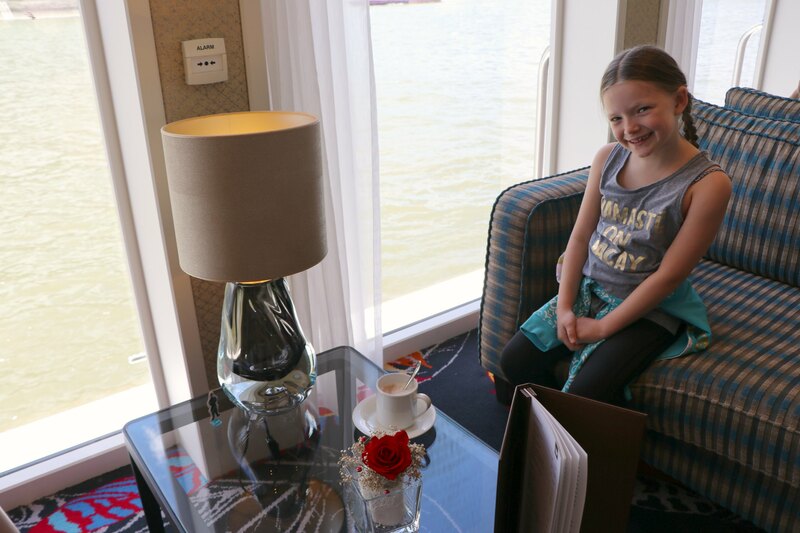 We spent the rest of the day enjoying tea time on board and the teens had a social hour on the top deck to get to know one another more. Maddie and Ash can be more reserved around new people and I was shocked when I saw all the teens together shortly after. To anyone who didn't know them, you would have thought that they all had known each other for years, not hours. The Adventure Guides know exactly what to do to get teens out of their shells and having fun together. From then on out, the teens spent almost all their time together when we were on the ship. They even had their own room off the dining area set up just for them. I can't say enough how perfect this is for kids of all ages. Emmy also left us for dinner most nights to eat with the fellow Junior Adventurers in the lounge. The Adventure Guides hosted them all for a buffet each night and most of the kids preferred that to eating with us boring parents. We never planned to have any dinners just the two of us, but Pete and I had the best time having adult dinners. A kid here and there would stop by and say hi and make sure we were doing okay without them, ha… but we all agreed it was like this vacation was custom built for us, but I think anyone on this trip felt the same way. Disney just gets it. They REALLY get it. After dinner, the kids all were with friends so Pete and I went to the top deck and enjoyed the sights as we cruised down the Danube and into Slovakia. The amazing Cruise Director Rachel narrated the sailing and pointed out churches and castles. It was like a fairy tale! There was a piano player in the lounge for entertainment along with more snacks… but none of us made it up that late. We went to bed pretty early and woke up rested, energized and so excited to see Bratislava, Slovakia! Have you taken a family vacation to Europe? What an exciting cruise! I love the Disney related aspect of it for the kids. I’d love to visit Hungary! That sounds like quite an experience. I hope to do this with my kids one day. You are totally living the life that I want! I love to travel and the struggle for me is with my family. Your kids are getting such a wonderful experience. At some point I would love to do one of these adventures by Disney. They do such a good job. I’m sorry that your daughter lost her iPad. 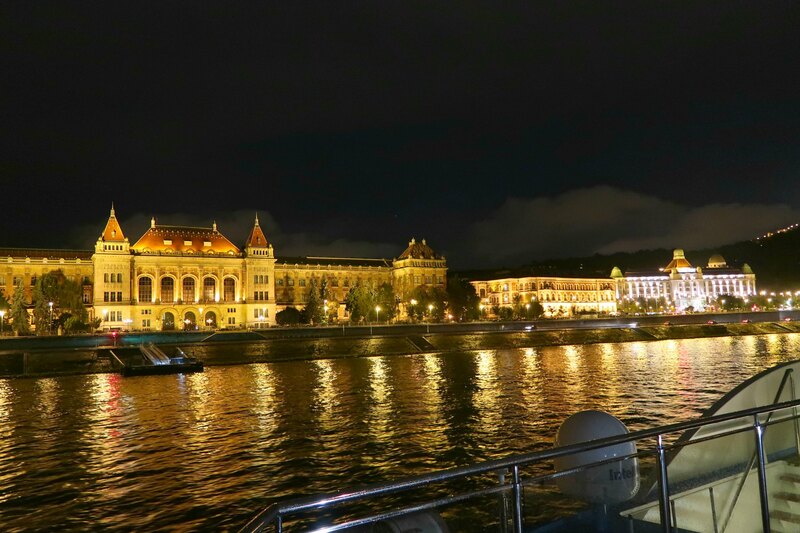 I know a few people who have done Danube river cruises before and they always say it’s an incredible experience. I’d really love to go to Budapest one day! Wow what a lovely trip! 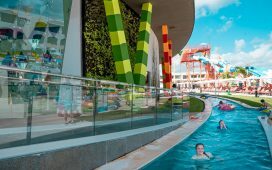 I had no idea there was a Disney cruise that offered this! Good for you. I love Disney. Wow this is incredible. What an amazing experience for you and your family! Your time exploring the city and on the boat sounded really nice. 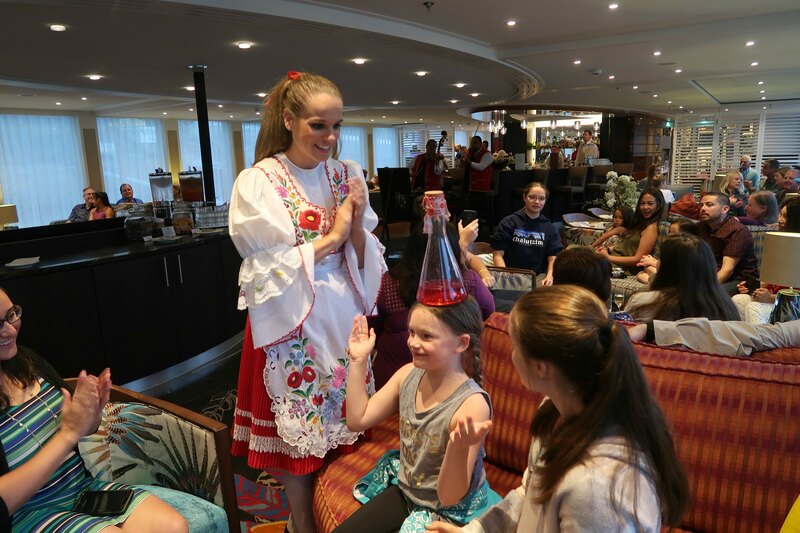 What a fun way to start a cruise! I need this kind of vacation right now in my life, and that hotel room is calling me. 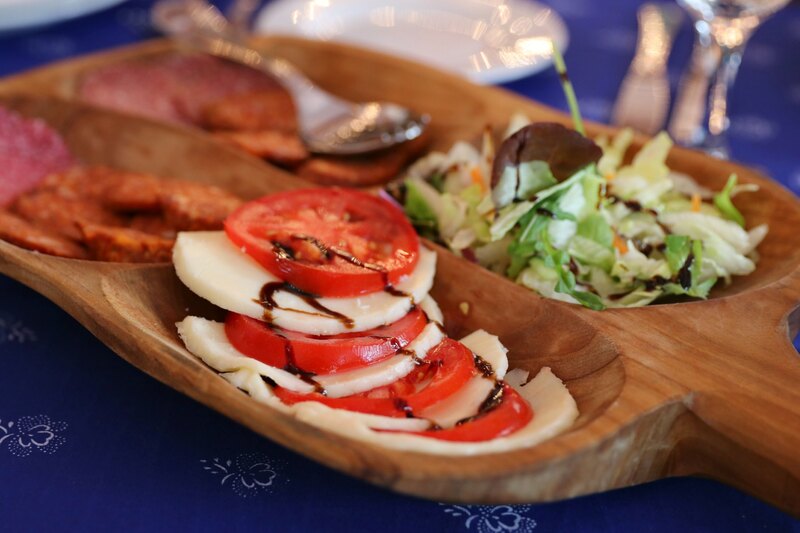 🙂 beautiful food and lovely photos. It looks like your family had a blast in Budapest. I didn’t even know this was an option with Disney. All I know about is the Disney cruises in America. 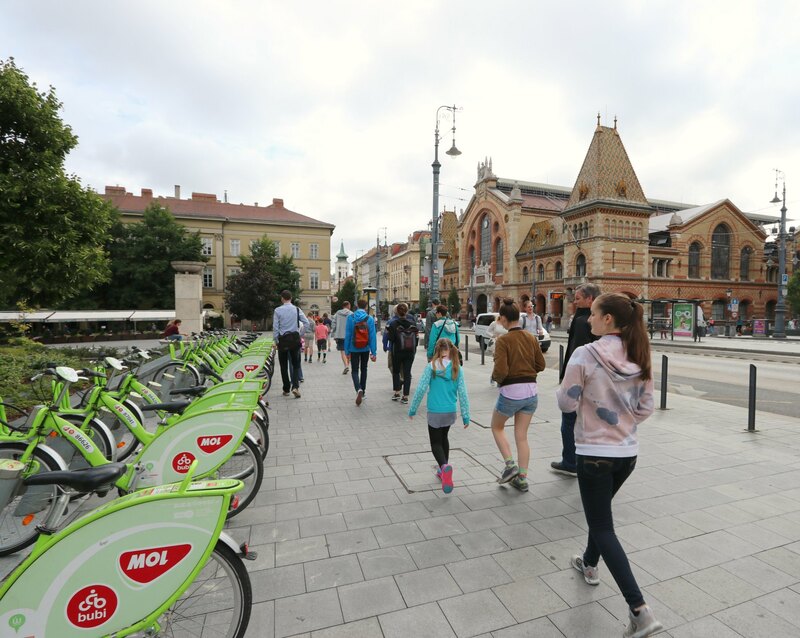 This is an awesome option to have while visiting Budapest! 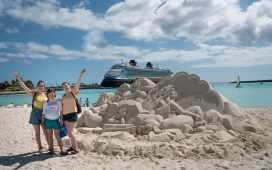 I am looking at booking a Disney cruise this winter. It would be a great surprise for the kids. I have always wanted to go to Europe. I love all those beautiful photos. That looks like an awesome trip. I don’t think I’ve ever heard of Budapest til now. Sounds like a nice place to visit. My daughter would have been beside herself if she left her iPad on the plane! What a gorgeous city Budapest is. I am sure you had a magical time. Wow this looks like a really fun vacation. 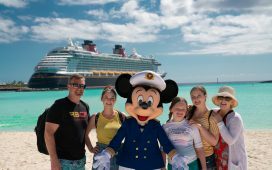 I went on a Disney cruise when I was a kid and remember it was awesome! What a cool experience for the whole family. Bummed that your daughter left her iPad (it’s happened to us before too), but glad you all were able to take a bad thing into a positive experience. Hopefully, all of her photos were downloaded onto the iCloud. If so, she hasn’t lost them! So cool! I had no clue this was a thing. Totally want to do this with our family. Bucket list item! Your trip sounds totally amazing! I will definitely add this to our list! Thanks so much for sharing! Oh my goodness what an absolutely amazing looking cruise, I would love to visit Budapest one day myself it seems like such a wonderful place full of so much culture. That looks like it was such an amazing cruise! I think visiting Budapest would be an amazing place to visit. Wow that sounds so fun!! I love all the great photos you got! 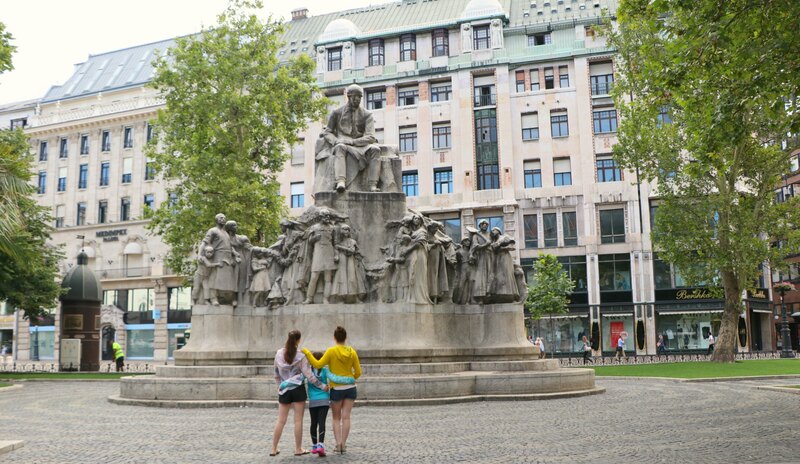 It looks like you all had a fantastic time during your short stay in Budapest. 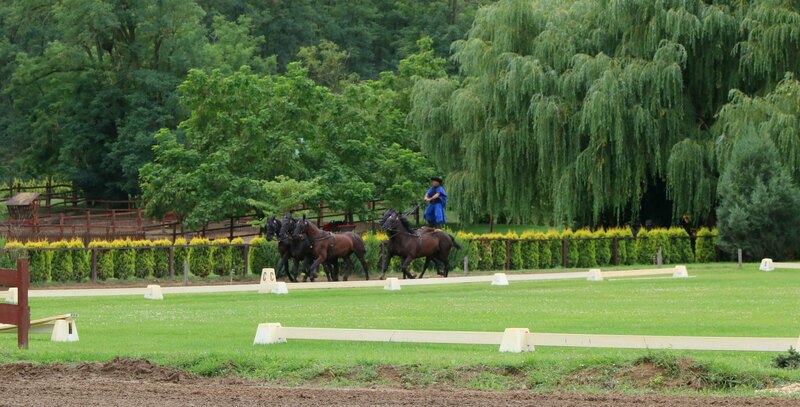 The Lazar Equestrian Park sounds amazing and would be a great place to go for the whole family. I would love to visit Budapest some day just to see the culture. Thanks for sharing your amazing experiences. Such an amazing adventure with the kids. How I wished there are also a lot of cruises offered in our place. I would want my children to experience traveling by water.